New Info – British Cycling have given the deadline for all registrations to Friday 25th May. Therefore I am able to extend the deadline for applying for a team place until Friday 11th May. 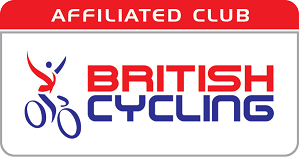 Once again as a British Cycling Affiliated club we have been offered the opportunity to enter teams into the Prudential Ride London 2018 We have been given one all Female team and one Mixed team (2 males/2 females). The event takes place on Sunday 29th July and each rider within the team must pay their own entry fee (£69) and complete the online entry form; all 4 riders in the team must have completed and paid for their entry by 25th May or the team will lose its place. Should you not meet any of the above criteria and have yet not ridden any previous Prudential Ride London Events via this club entry system but would like to be put on a reserve list you are welcome to do so. Please make it clear you are eligible only has a reserve. Please note this is a team event and separate from the individual event that many of our members have already entered. As such this year we expect all 4 team members to actually ride as a team and agree to meet for the start and help each other round the whole ride. If that is not your thing sorry but you need not apply! Once you have fully understood and meet the above criteria and want to apply please email info@yogicycling.com by Friday 20th April. This is a fantastic event all round but it does add up to a pretty expensive bike ride so if the worst happens and we do not get enough members to put together one/either of the teams then we will cancel our entry. On the other hand and a much better one, if necessary we will conduct a fair and open draw. So worth putting your name down if you are genuinely keen to take part.